Agnes Arbaiza is experienced in advising companies in highly regulated industries on global anti-bribery and anti-corruption, corporate compliance, internal investigations and corporate eDiscovery. She has a strong background in banking, capital markets, corporate and M&A transactions. Ms. Arbaiza regularly conducts integrity due diligence, risk assessments and bilingual on-site anti-corruption trainings, as well as in-person reports to corporate committees and boards. Her expertise includes drafting and reviewing policies, procedures and manuals to ensure compliance with the FCPA and in-country regulations, including anticorruption, anti-money laundering and terrorism financing prevention. Ms. Arbaiza has hands-on experience in developing and enhancing internal controls, providing clients with tailored corporate governance solutions while working alongside senior management, internal and external auditors, compliance officers and forensic teams. She tracks regulatory developments and guidelines published by the SEC and DOJ and has strong familiarity with AML/SOX/KYC standards. She also handles corruption risks related to gifts and entertainment, charitable donations, third party liability, vendor onboarding, joint ventures and best hiring practices. 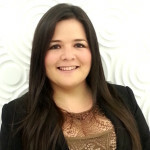 Prior to joining the firm, Ms. Arbaiza held an associate position in the New York offices of a leading global law firm in the banking and capital markets department, and worked for several years at a large Peruvian firm in corporate and M&A transactions. Ms. Arbaiza also has strong civil law training and hands-on experience in high profile litigation cases. Ms. Arbaiza presently serves as Compliance Officer of Orihuela Abogados. Ms. Arbaiza has written several articles on corporate and civil law, and has recently worked at the Lauder Institute of Wharton School of Business conducting research on corporate and bankruptcy legal frameworks in Latin America. From 2003 to 2011, Ms. Arbaiza served as Assistant Professor and Adjunct Professor of an introductory Corporations course to first-year Law students at Pontificia Universidad Católica del Perú.